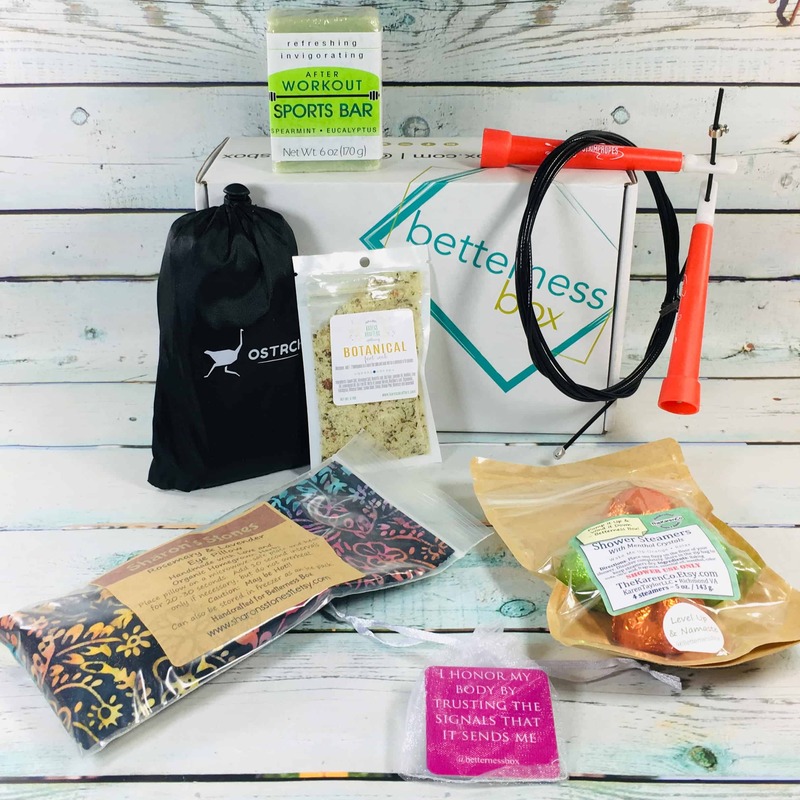 BetternessBox is a monthly subscription box that sends items related to wellness, fitness, and beauty. 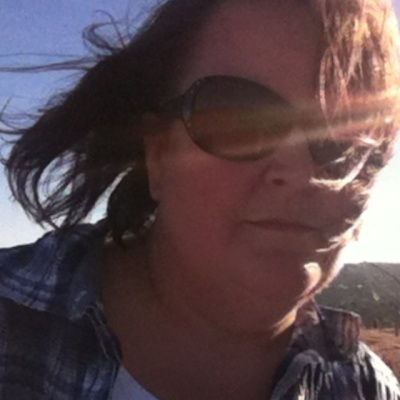 Their goal is to help you “intentionally do better, live better and be better – one day at a time”. 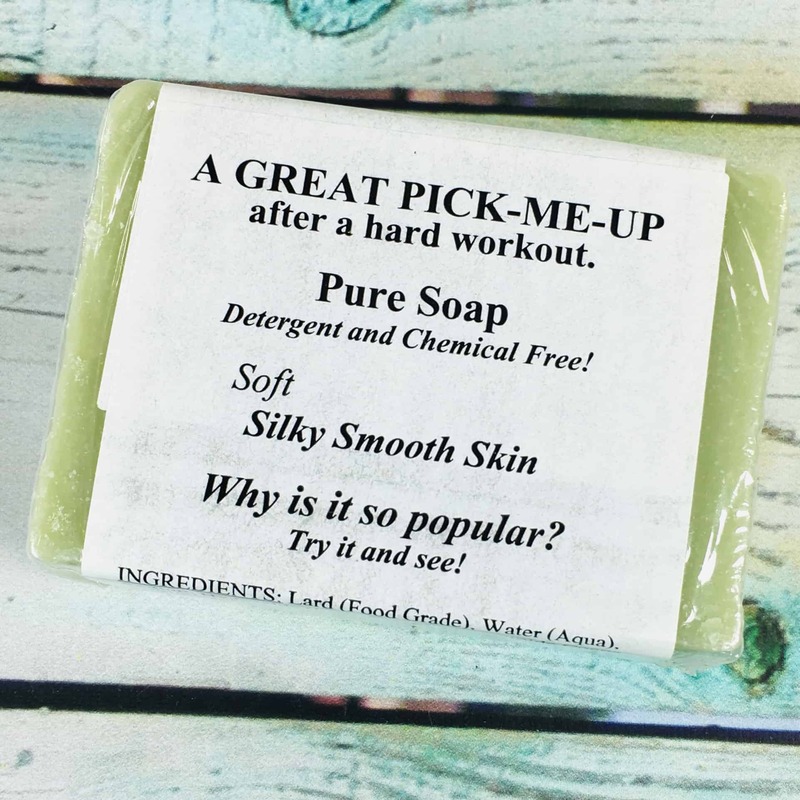 Items sent may include skin & body care products, candles, teas, workout gear, snacks, and more. 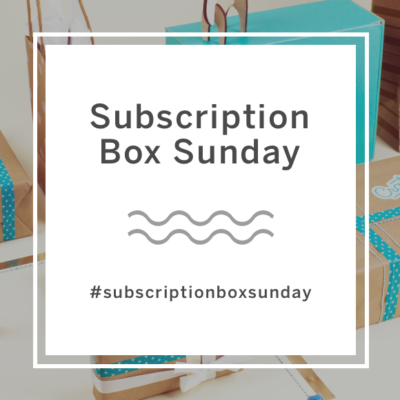 Each month you’ll receive a box centered around FITNESS or BEAUTY or WELLNESS. 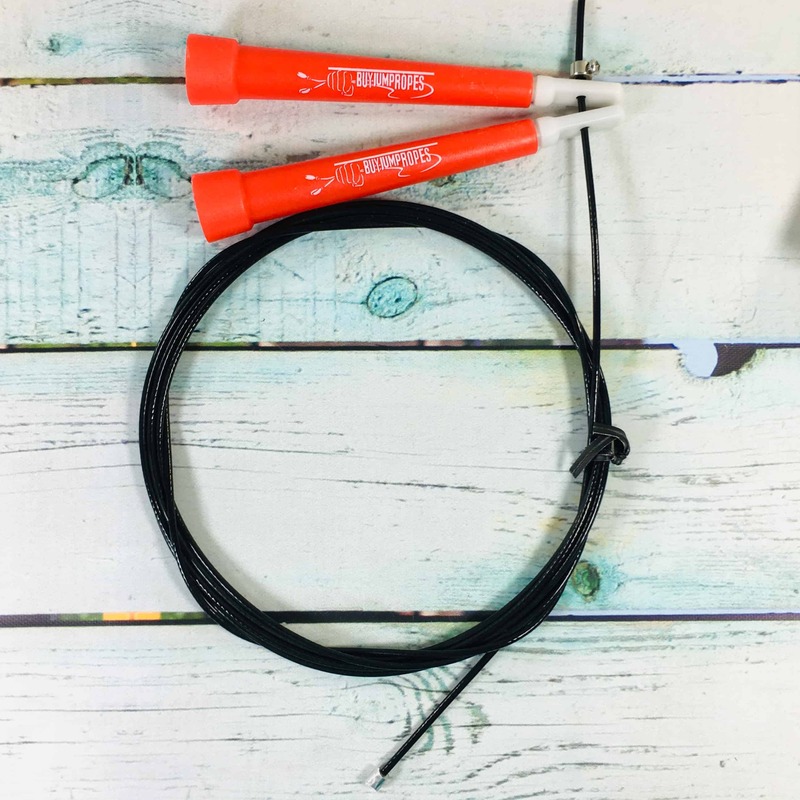 This is done on purpose so that you don’t get a slew of the same product type and you’ll actually have time to use the great things in your box each and every month! 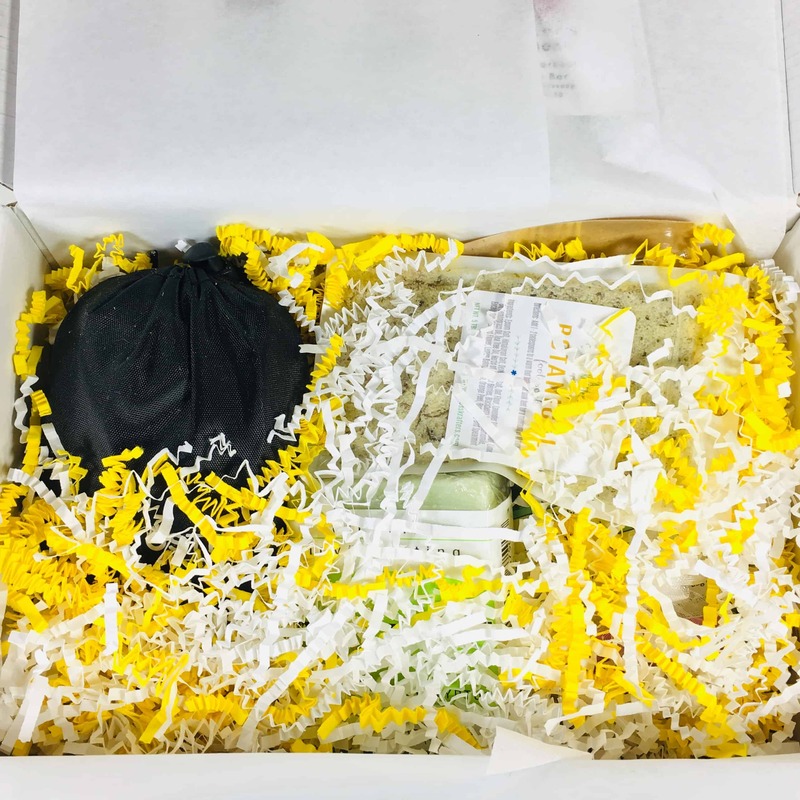 My items were tucked into shredded paper squiggles and everything was intact when I received my box. 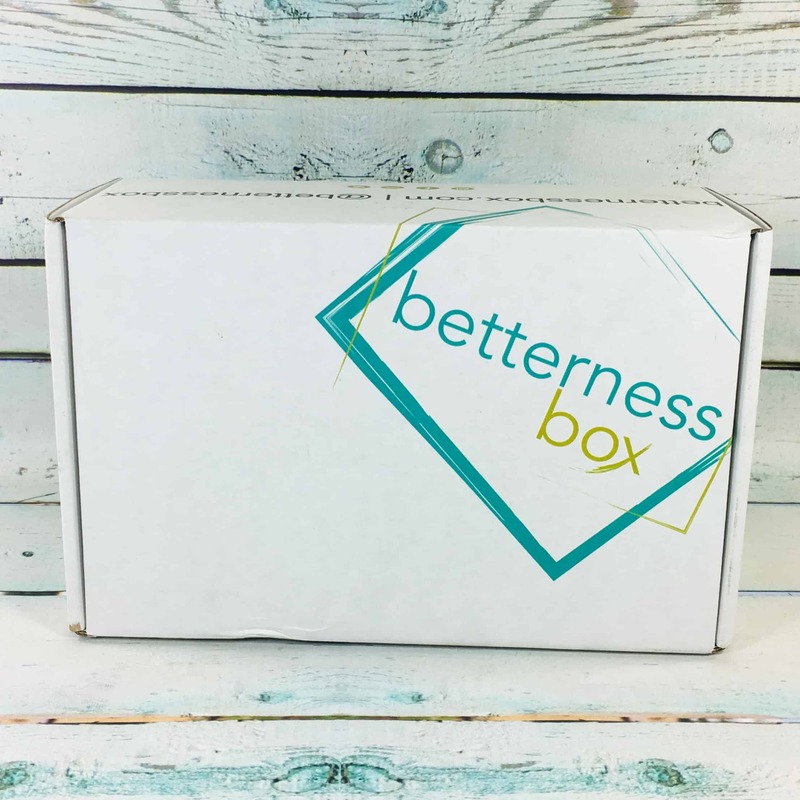 BetternessBox switches it up between beauty, fitness, and wellness. The focus for September was fitness! The product info card was taped on the inside of the box lid so I removed it to keep it handy. The first thing I was asked to do was to place my phone in the box and close the box! 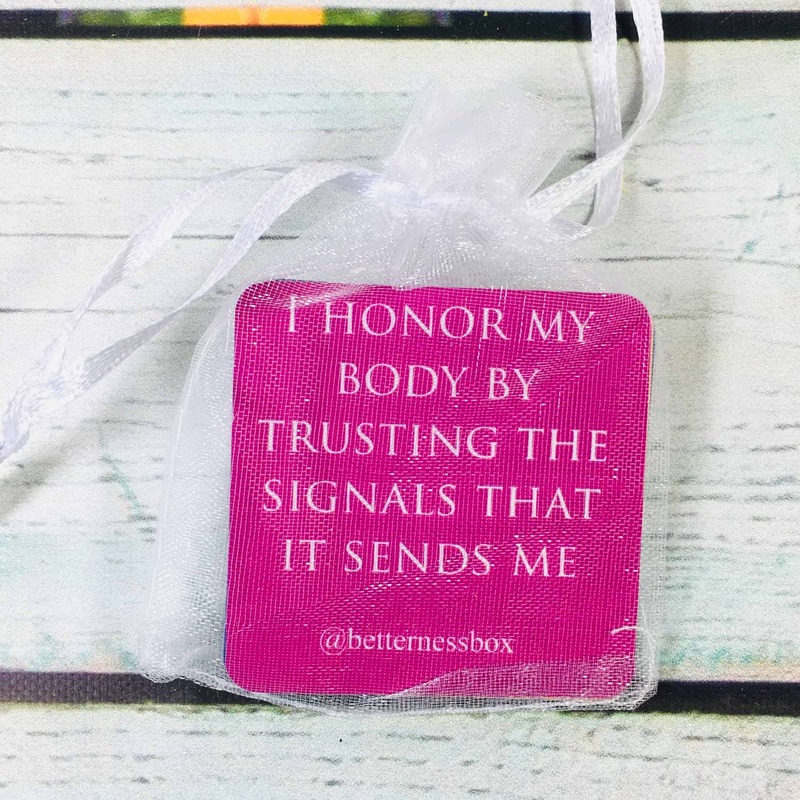 BetternessBox wants us to unplug and focus on ourselves for once. Each item was listed, along with the retail price. There was even a playlist to find on Spotify. 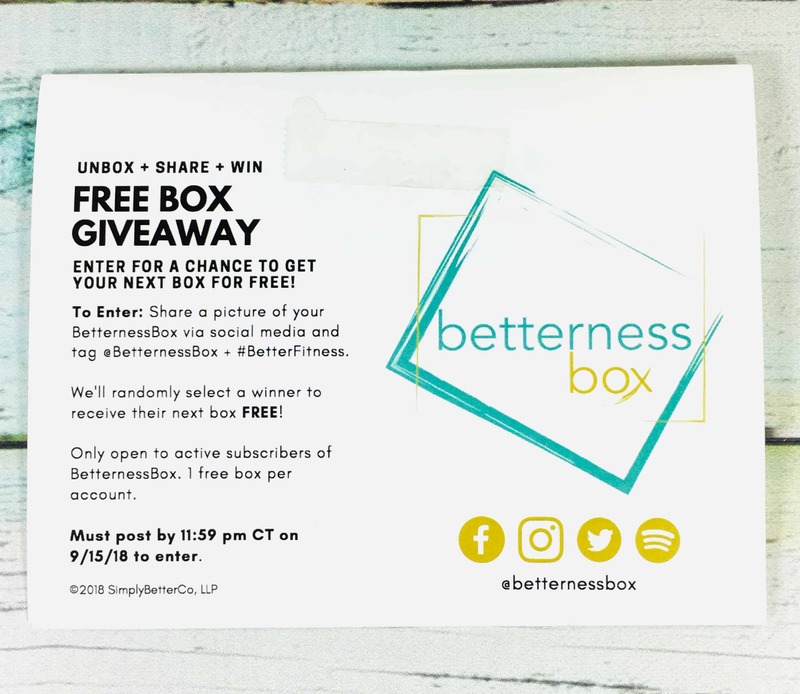 The back of the card gave instructions on how active subscribers could win their next box for free by posting on social media. 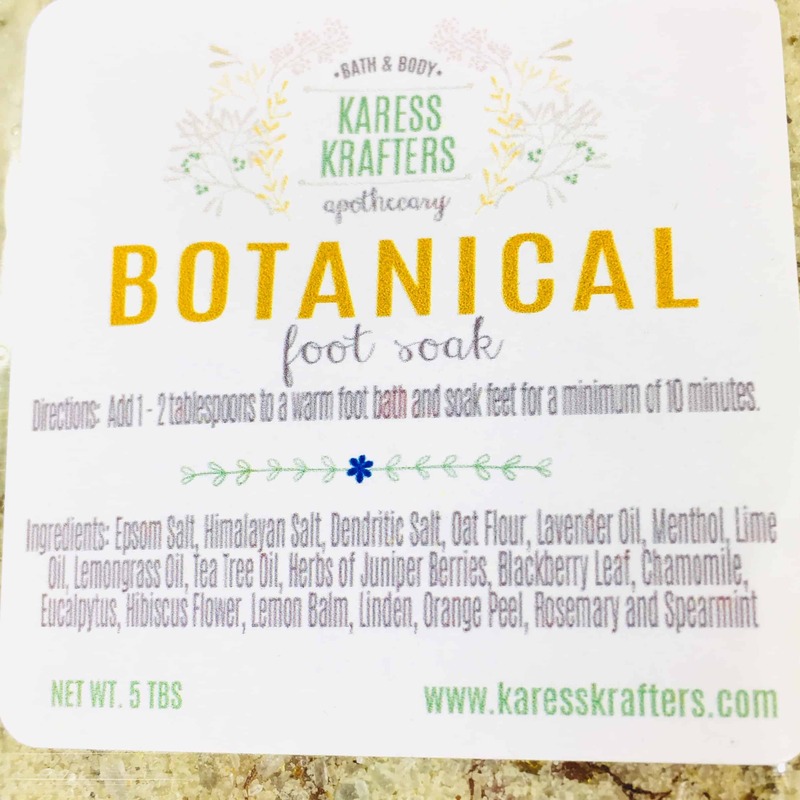 Karess Krafters Botanical Foot Soak ($4) Ahhh, at the end of a long day on my feet a foot soak sounds like a must-do. There is enough for a couple of uses and it smells AMAZING! 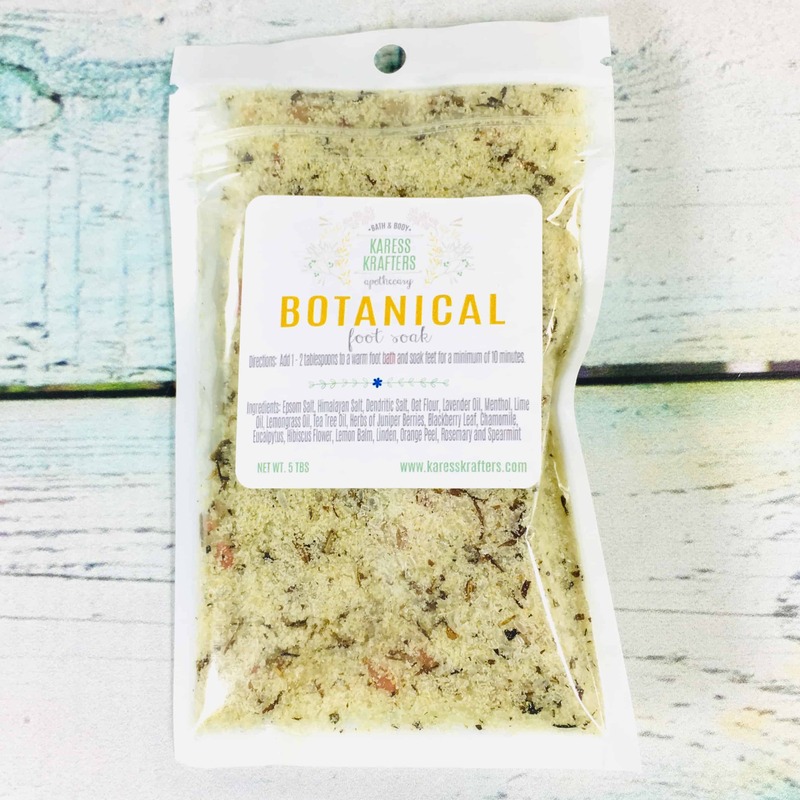 Three kinds of salt, oat flour, and several herbal extracts and essential oils help relax and invigorate. There’s even tea tree oil to help fight fungi. It smells like limes but with a menthol punch that helps open my sinuses when I sniffed from the bag. 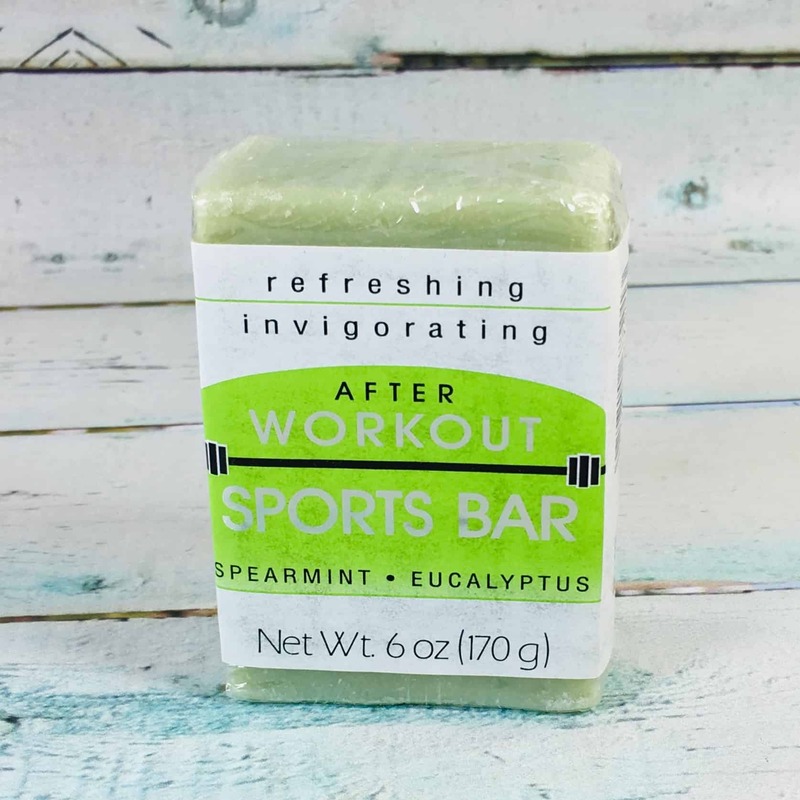 Grandma’s Lye Soap After Workout Sports Bar ($6.50) There are two scents to choose from on the Grandma’s website: Peppermint, and Spearmint-Eucalyptus, which is what I received in the box. This soap bar is huge and should last for a while in my shower. The ingredients are all-natural and I plan on putting this in my shower but I have 3 bars in there already so this will have to wait! 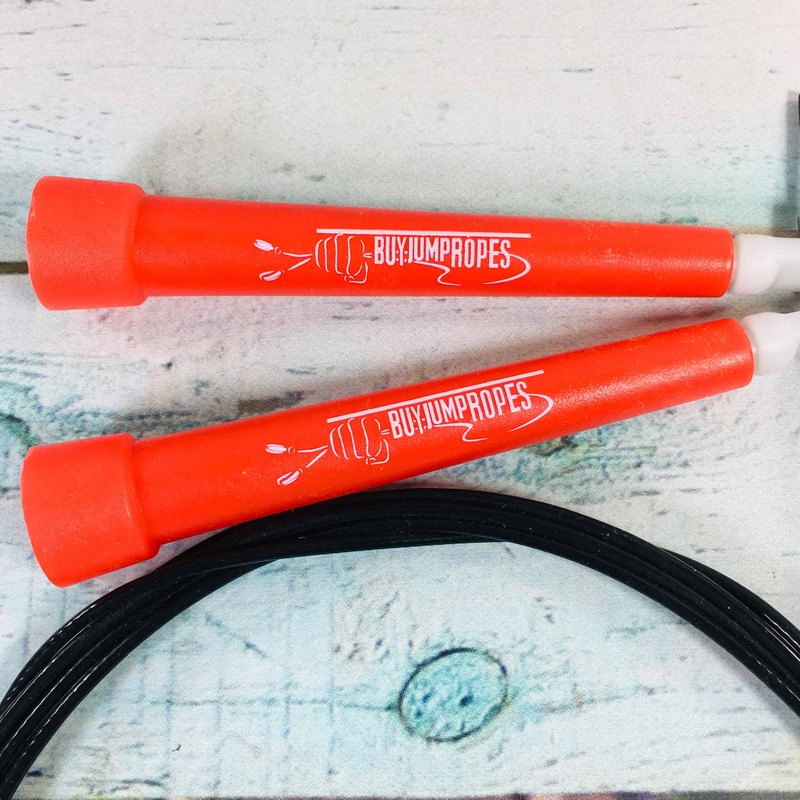 Ultra Speed Jump Rope (Was $8, now $4) I was really into jumping rope when I was a kid. So much so that I did some weird thing to my knee and had to stop. I have been known to show the kids at the schools were I sub that I still got it and they always look amazed. Or maybe they think I’m crazy, who knows. 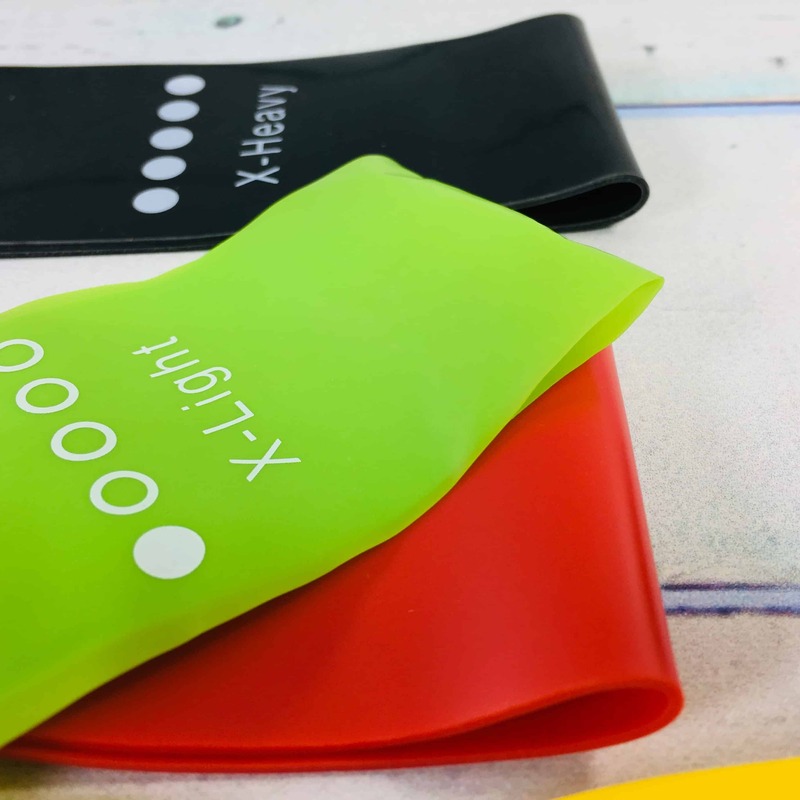 This one is really lightweight and can really help get your heart rate up while helping stimulate new bone growth. 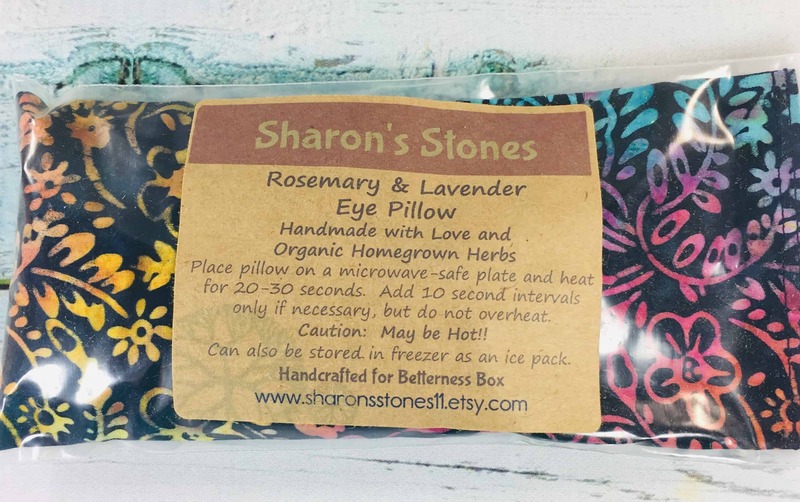 Sharon’s Stones Aromatherapy Eye Pillow ($9.50) This Etsy site has some of the prettiest eye pillows I’ve ever seen! 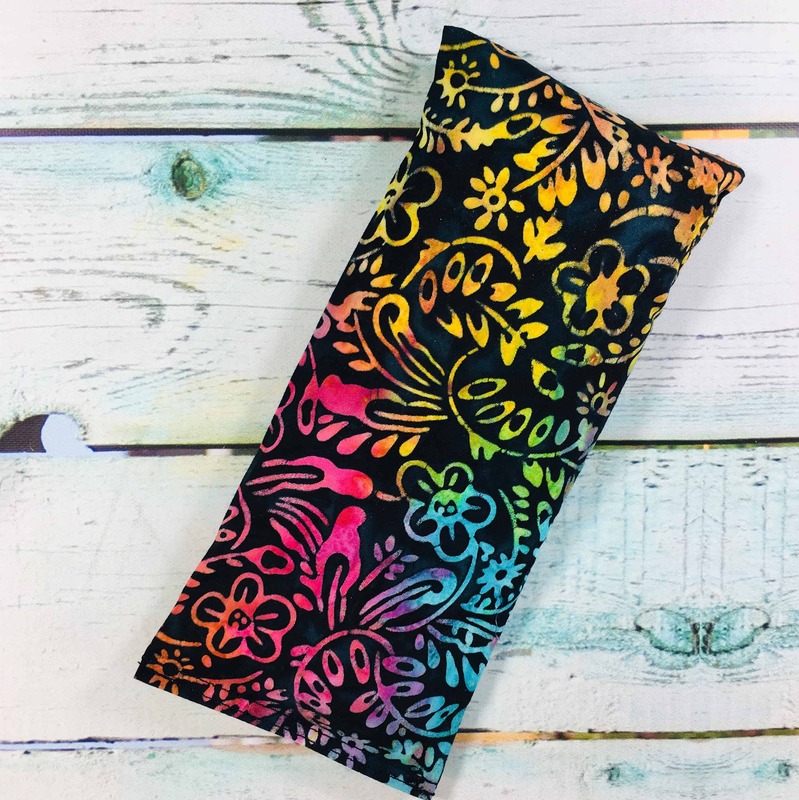 Just heat in the microwave for a few seconds and place over eyes, forehead, neck, back, or anywhere you need some heat. The inside is filled with flax seed and dried rosemary and lavender. It may also be placed in the freezer and used as an ice pack. 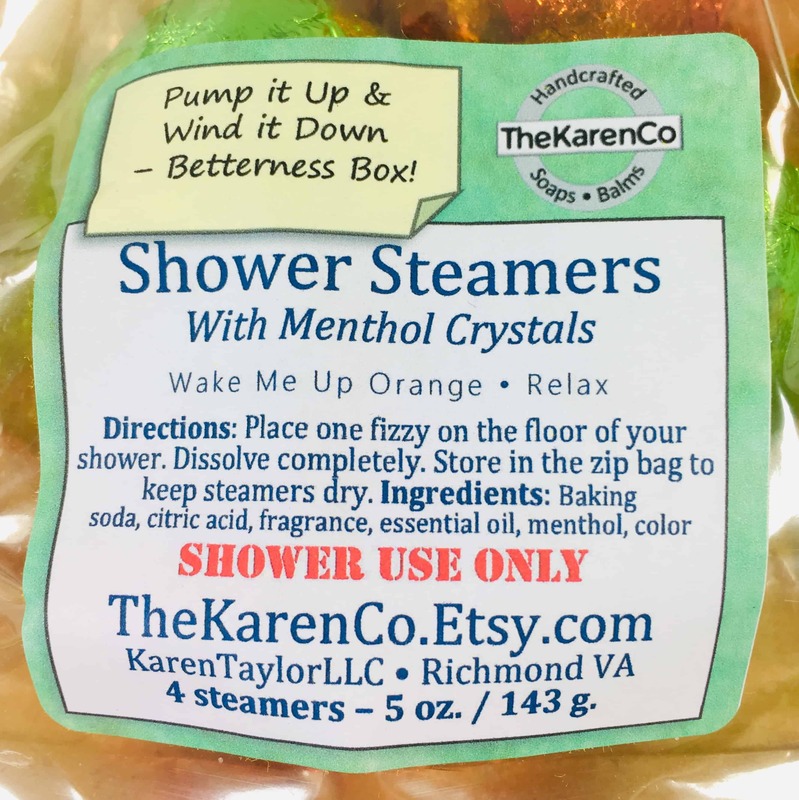 The Karen Co Shower Steamers ($4.95) I’ve tried lots of shower steamers and always think, well, there goes money down the drain. NOT THIS TIME!!! 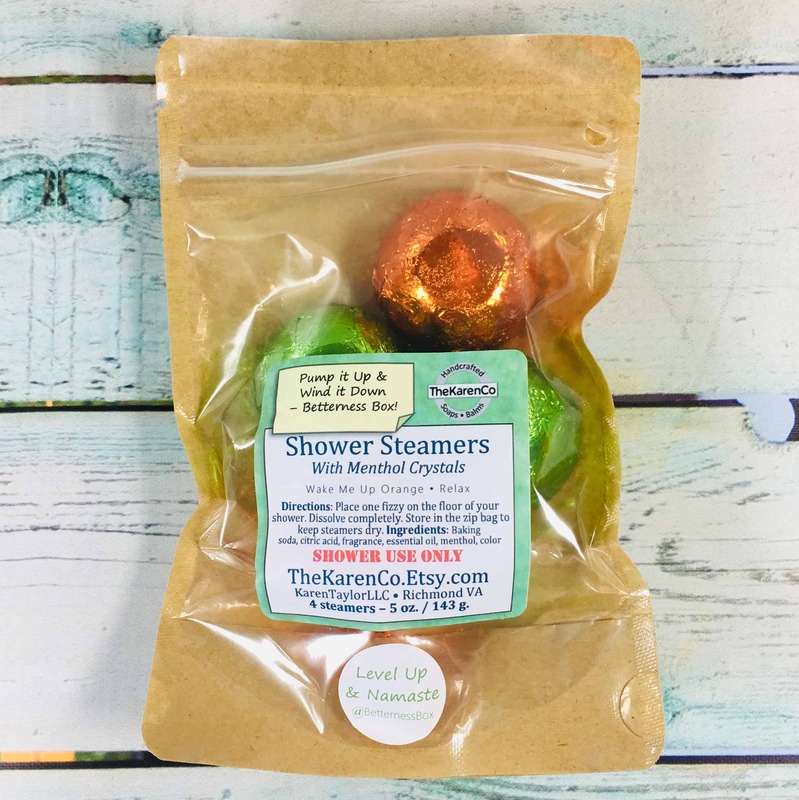 These have menthol crystals in the ingredients and that gives them some oomph. I placed the Wake Me Up Orange in my shower and turned on the water so it would get warm. I could smell the scent even before I opened the door. It lasted throughout my shower and opened my sinuses. 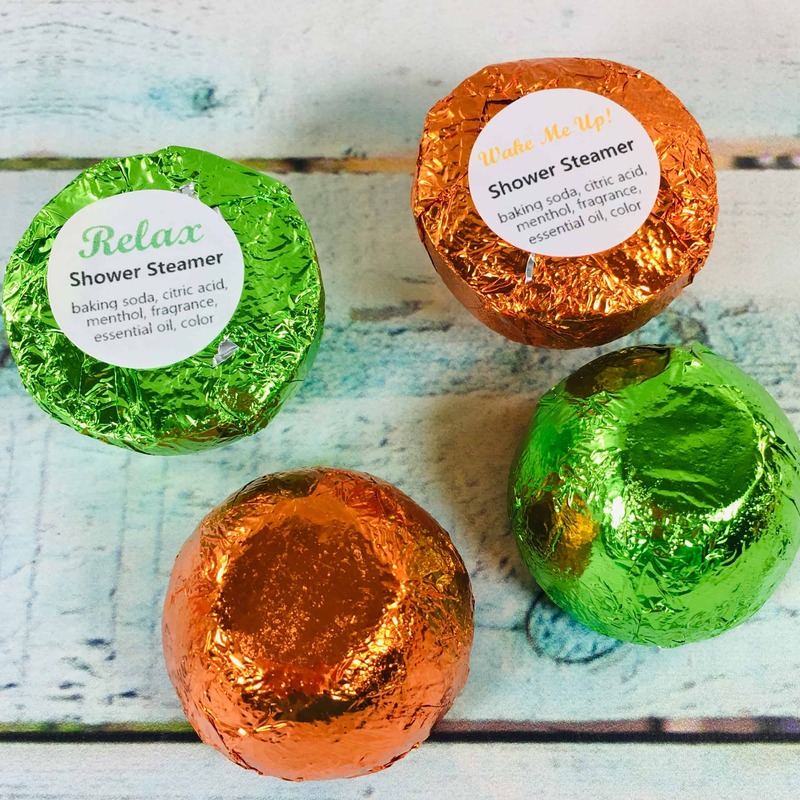 I haven’t tried the Relax scent yet but I am really looking forward to using it! 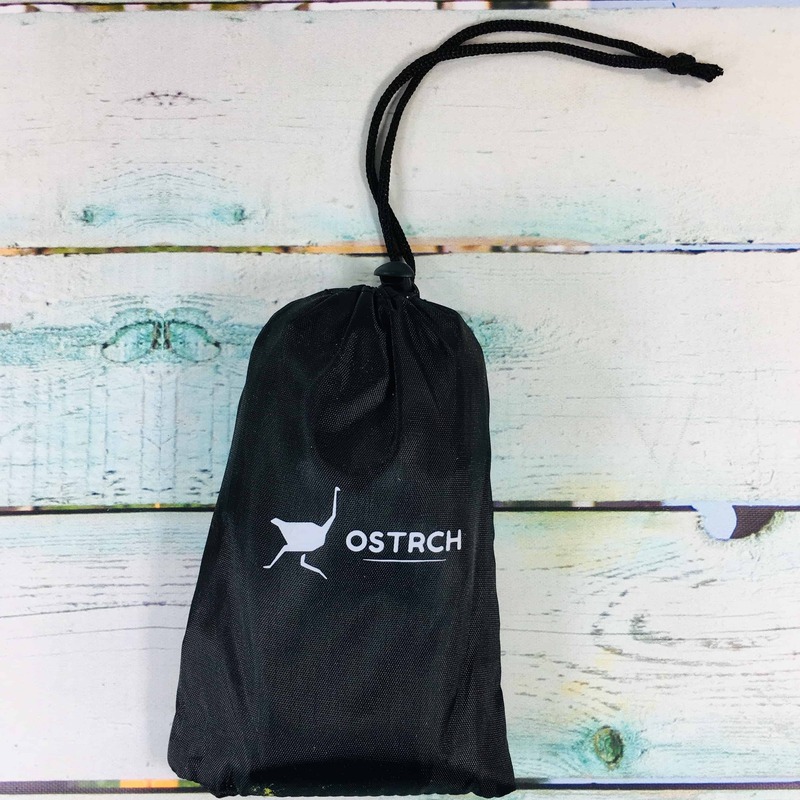 Ostrch Resistance Bands ($10.95) came in their own storage bag to keep them corralled. I was surprised to find 5 bands in the bag! You can see the difference in the thickness of each band. You can use them for arm or leg exercises and as you get stronger you can move up to the next level band. There was a bag with some motivational cards inside. 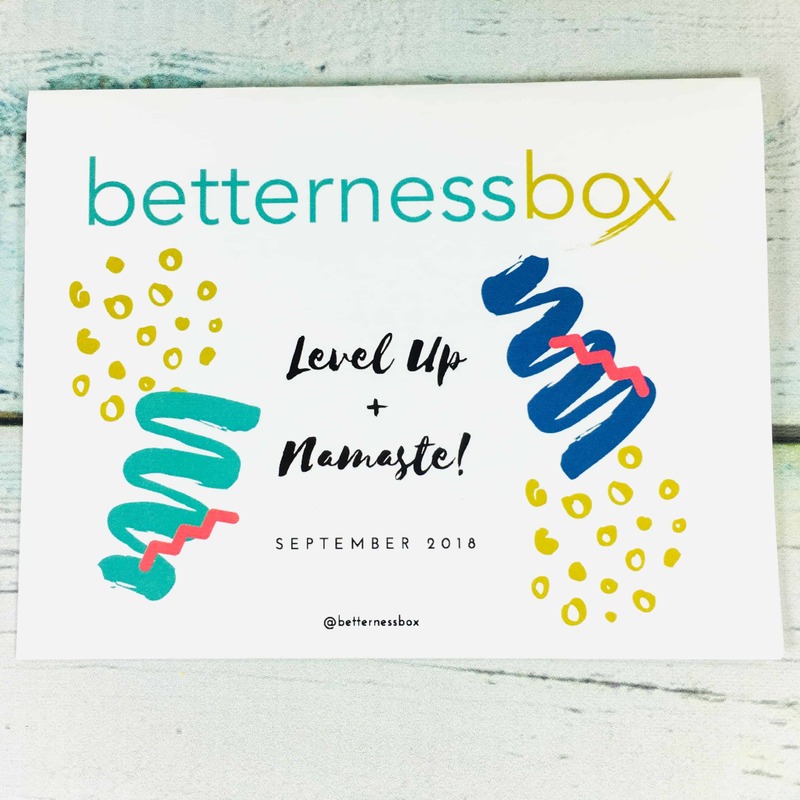 I had a lot of fun discovering the items in my very first BetternessBox! 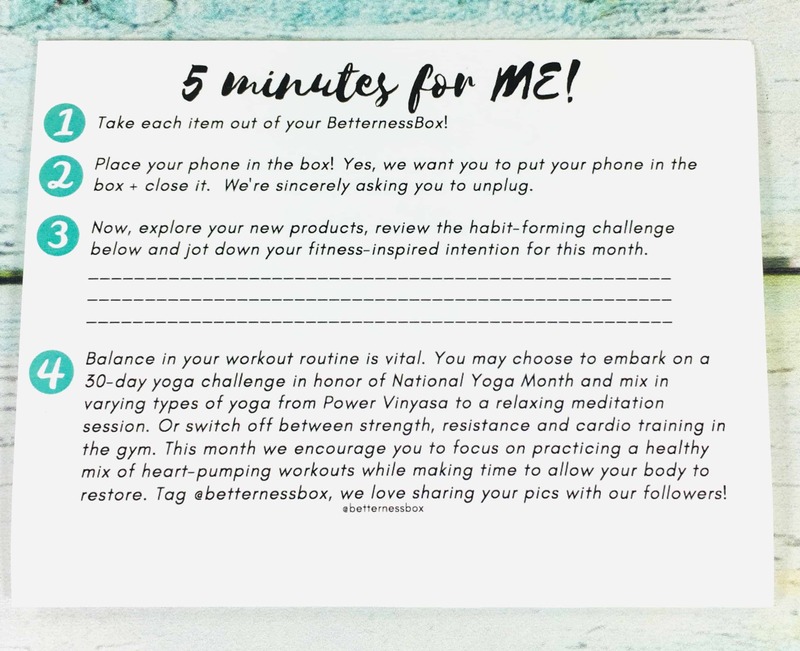 I appreciate that the focus changes each month and I thought the workout theme was great and the items matched perfectly well. 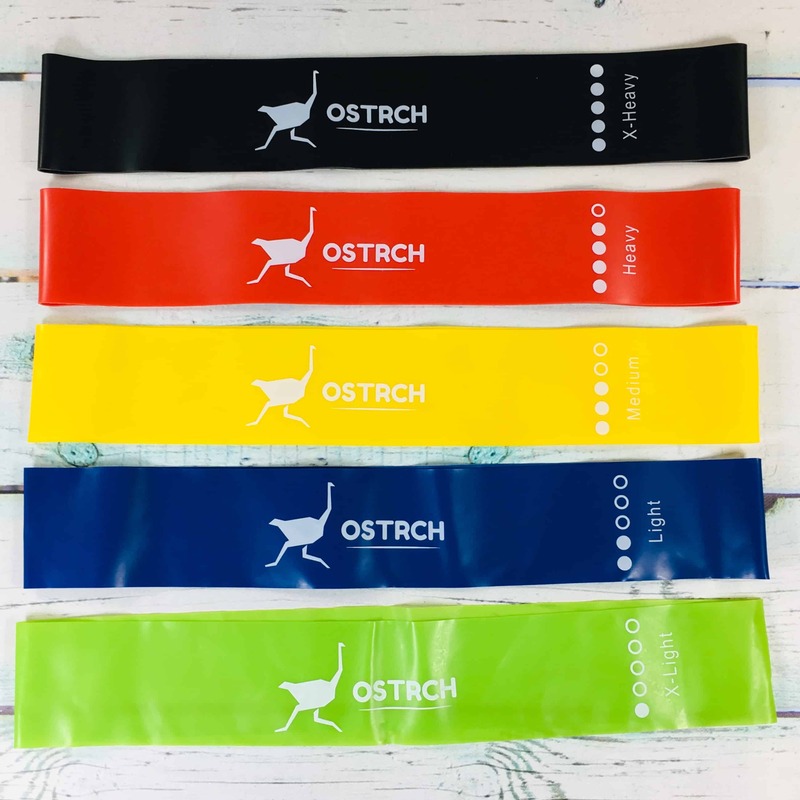 I will probably get the most use out of the bands and appreciate that they came in several strengths. My favorite item was the shower steamer, it worked really well! 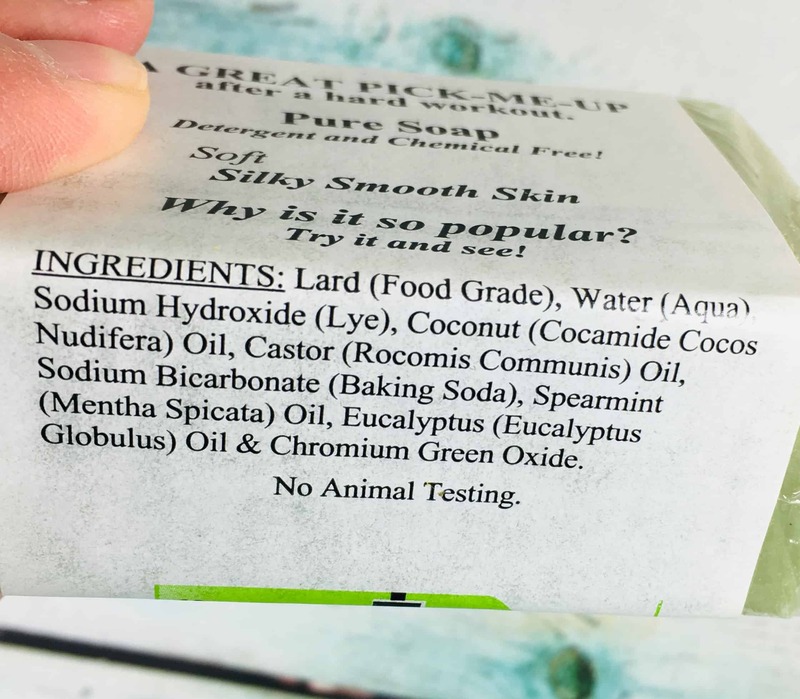 The other items were all of high-quality and were natural and “clean”. The value was around $39.90, which is a little over the price of the subscription. 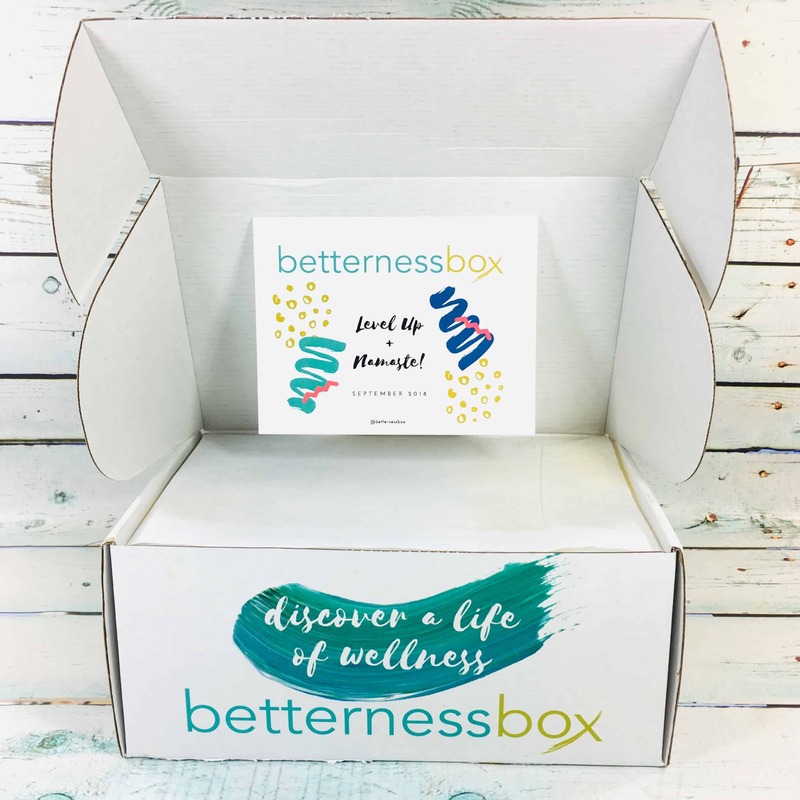 Visit BetternessBox to subscribe or find out more! 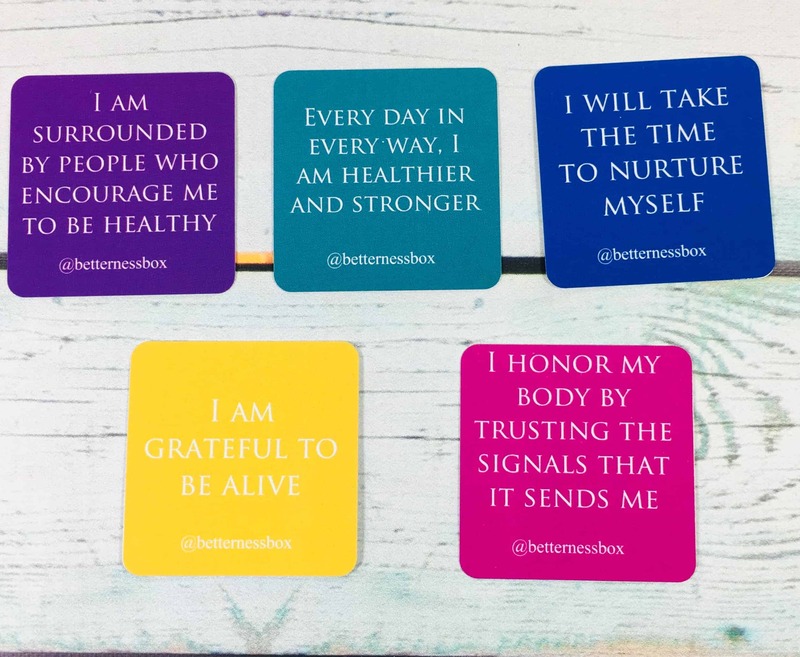 Think of BetternessBox as your accountability partner; helping you intentionally do better, live better and be better - one day at a time. 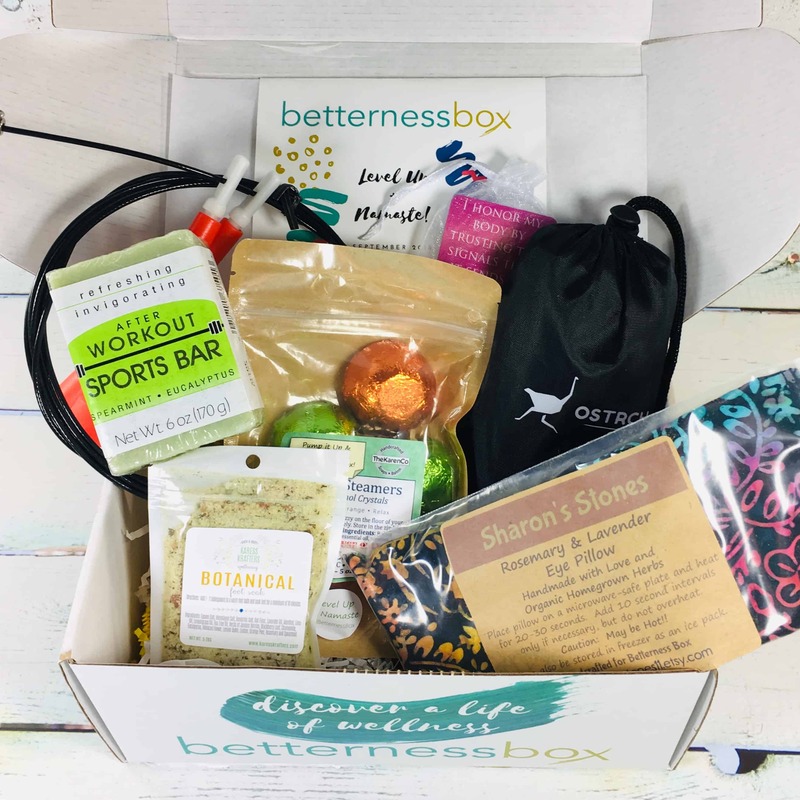 We'll ship your box full of better fitness, beauty and wellness products to your front door each month. 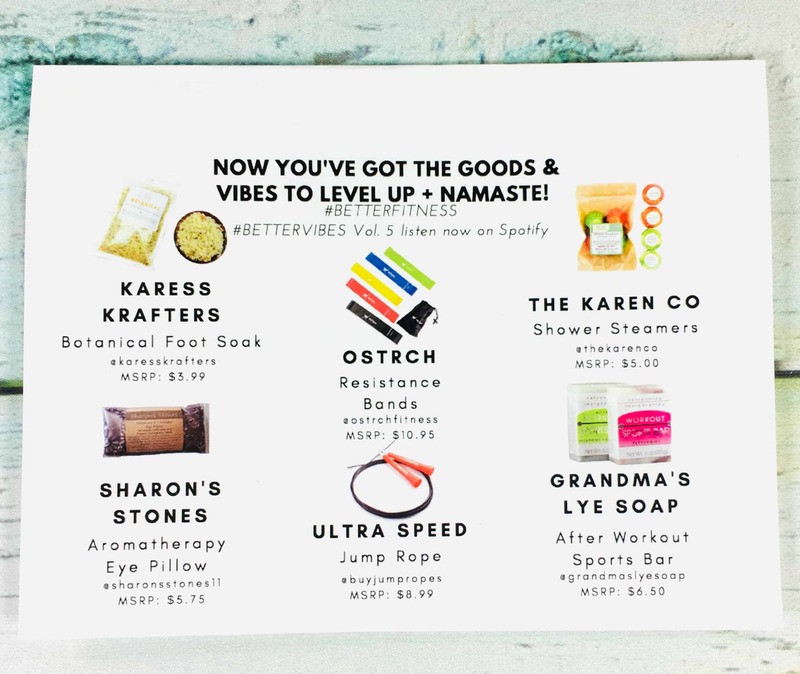 You can expect items like skin and body care products, candles, teas, workout gear, snacks and MORE].